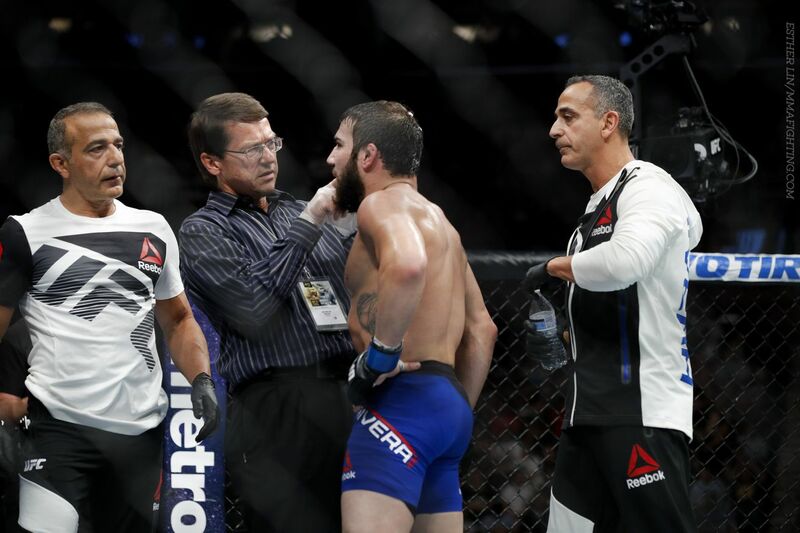 Jimmie Rivera picked up the biggest win of his career Saturday night, but got some some bad news, too. Rivera was poked in the right eye by Urijah Faber in the third round of his unanimous decision victory at UFC 203 in Cleveland. Rivera went right to the hospital after the fight and was released early Sunday morning. He told MMA Fighting that doctors informed him he has a crack behind his retina and a scratch on the white of his eye. One doctor said she was not sure if or when he’ll get full vision back, Rivera said. Rivera, 27, said he’ll be seeing an eye specialist as soon as he gets back to his native New Jersey on Monday. Rivera (20-1) swept every round against Faber, including the third despite not being able to see out of one eye for the majority of the five minutes. Faber (33-10) has only lost once before in a non-title fight and that came last year against Frankie Edgar. This is the first two-fight losing streak of his career. Faber, 37, was coming off a bantamweight title fight loss to Dominick Cruz at UFC 199 in June. Rivera is now a perfect 4-0 in the UFC and has not lost a bout since his second pro fight in 2008. With the victory over Faber, “El Terror” put himself among the elite in the 135-pound division. Rivera admitted that the eye injury is a bit scary, but he’s just glad to not be hurting anymore. Anthony Johnson’s corner after UFC 210 loss: Why does this happen every time?